Lost My Kitty was started to provide an additional and effective way to locate lost & found pets. Through my own experience of losing a lost pet I realized that locating a lost or stolen pet can be a difficult task and there had to be a better way to notify the community than just posting flyers in the neighborhood. Neighbors are probably the most significant resource that can be used when searching for your pet. I soon realized that technology could provide a better solution in helping to find missing pets. Our system can call the surrounding community within minutes, this doesn't limit you to just people who happen to go outside and see your flyers. 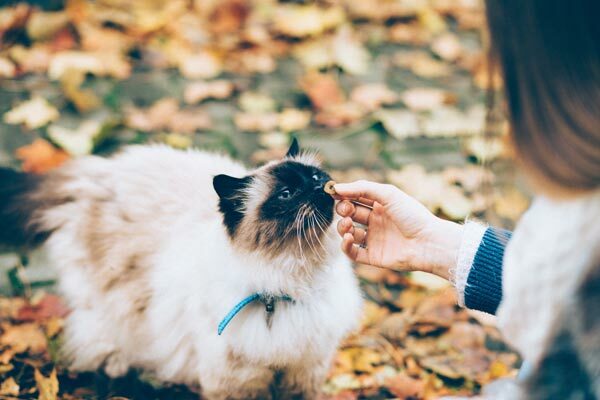 By using the concerned community, you can increase the amount of eyeballs looking for your lost pet, it creates a neighborhood search that can significantly increase your chances of finding your pet. To continually create and improve upon our system to increase the chances of a lost pet being reunited with their owner. To offer the most effective selection of free lost pet tools that provide actual results to lost pet owners. Our team is just like you, pet lovers who consider our pets to be part of our family and would be devastated and frantic if they were lost. Due to our nationwide partnerships with shelters, rescue groups and our Pet Rescue Team members, we're able to put your lost pet in front of a huge concerned audience. With so many happy reunions it really does keep us going. Knowing what we're doing makes a difference is the reason Lost My Kitty was started in the first place. Our team of trained pet detectives work hard every day to ensure we're doing everything we can to reunite as many lost pets as possible. With over 93947 reunions since 2009, our company has a proven track record. Providing this service to help reunite lost pets is incredibly rewarding and there is nothing more we enjoy than reading all the amazing success stories from lost pet owners, it truly gives us inspiration to continually improve our services.